Provided to YouTube by CDBaby Lucifer ? Garnidelia Pluslights -21248931- ? 2012 Garnidelia Released on: 2012-08-11 Auto-generated by YouTube. Provided to YouTube by CDBaby 21248931 ? 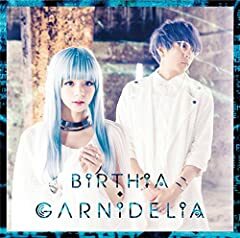 Garnidelia Pluslights -21248931- ? 2012 Garnidelia Released on: 2012-08-11 Auto-generated by YouTube. Provided to YouTube by CDBaby Hoshinouta ? Garnidelia Pluslights -21248931- ? 2012 Garnidelia Released on: 2012-08-11 Auto-generated by YouTube. Provided to YouTube by CDBaby Butterfly ? Garnidelia Pluslights -21248931- ? 2012 Garnidelia Released on: 2012-08-11 Auto-generated by YouTube. Provided to YouTube by CDBaby Asteroid ? Garnidelia Pluslights -21248931- ? 2012 Garnidelia Released on: 2012-08-11 Auto-generated by YouTube. Provided to YouTube by CDBaby ONE ? Garnidelia One ? 2010 GARNiDELiA Released on: 2010-12-31 Auto-generated by YouTube. Provided to YouTube by CDBaby ORiON ? Garnidelia One ? 2010 GARNiDELiA Released on: 2010-12-31 Auto-generated by YouTube. Provided to YouTube by CDBaby Prayer ? Garnidelia Prayer ? 2011 Garnidelia Released on: 2011-05-01 Auto-generated by YouTube.